For VisionScapes, beauty is in the balance between form and function. Our Calgary landscape design and construction team ensure that your dream landscape is both esthetically pleasing and structurally sound. Its important to us that you look beneath the surface of the beautiful outdoor spaces that we create to what lies within the qualifications and accreditations of our business. 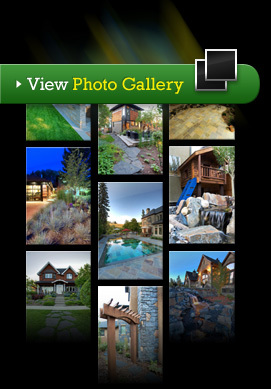 VisionScapes is Calgary's certified specialist for landscape design and Calgary landscape construction. We are accredited by the Better Business Bureau and have an A+ rating. This rating is the highest level rating that a business can achieve. Landscape Alberta Nursery Trades Association (LANTA) Certified. Workers Compensation Board (WCB) member in good standing. We take safety as seriously as you do and we do everything in our power to ensure that safety standards are met. We place importance on protecting your investment and personal safety as well as the well-being of our talented team. COR status certification (pdf) through Alberta Construction Safety Association indicates that VisionScape's standards of safety have been both developed and implemented. VisionScapes carries five times the amount of insurance than most other contractors do - simply because we want to ensure that in the unlikely event that something were to happen - we've got you covered. VisionScapes is bonded - ensuring that your prepaid contract is kept in trust.